Lauded as the “funniest guy on Facebook,” George Takei, renowned actor, author and activist, will speak at the University of California San Diego on April 26. Takei first gained fame for portraying Lieutenant Hikaru Sulu on the TV show “Star Trek,” and has since garnered a massive following on social media for his unique presence as a humorist and entertainer who cares about humanity. Takei’s lecture at 5 p.m. will take place in the Price Center Ballroom West on the UC San Diego campus. The event is free for all UC San Diego undergraduate students, and $20 for graduate students. Staff and faculty, can also purchase one ticket in addition to one guest ticket, each $20. Tickets will go on sale Monday, April 9, at 9 a.m. through the Higgs Memorial Lecture website. 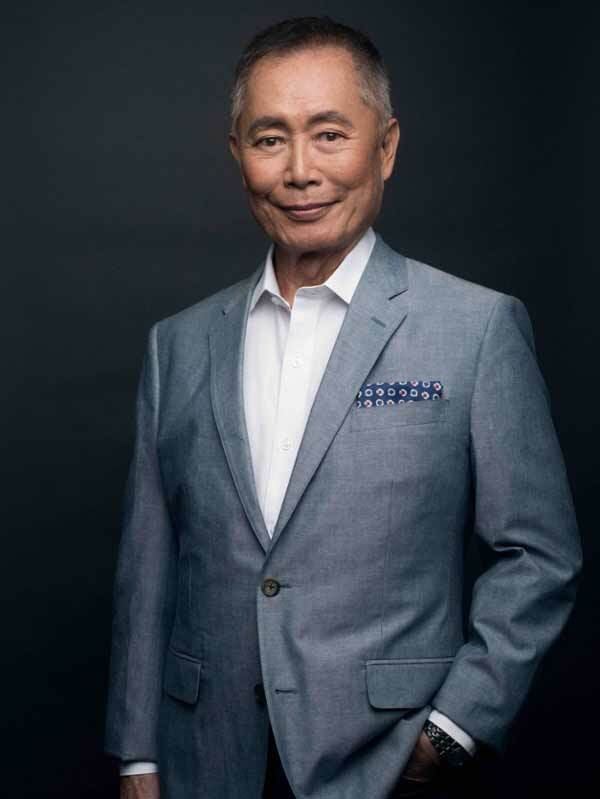 His performance, titled “Where No Story Has Gone Before: An Evening with George Takei,” will address his experience in the Japanese American internment camps from World War II, his perspective on gay rights in today’s political climate, the importance of social media activism and his life as a pop culture icon and entertainer. DeWitt Higgs was a renowned member of the San Diego legal community who served as a UC Regent for 16 years. The annual lecture series in his name is produced by UC San Diego’s Earl Warren College and Warren’s Law & Society major and features a public intellectual every year to speak on topics related to the lecture’s namesake. This year’s special event featuring Takei is sponsored by the UC San Diego Council of Provosts of the undergraduate colleges. Takei will share the story of his family's forced internment as Japanese Americans during WWII—a seemingly forgotten part of American history. He inspired—and starred in—a Broadway play entitled “Allegiance,” based on his experiences as a child in a Japanese internment camp. Takei also will take audiences through his rise to celebrity as a sci-ﬁ icon, and his remarkable journey as a social media mega power. He authored “Oh Myyy!,” a best-selling book addressing his meteoric rise in the Internet age and how others can broaden their reach on social media platforms. On his Facebook page—which has over ten million followers—Takei discusses LGBT and political issues, human rights and Japan-United States relations, all while maintaining his signature sense of humor. His projects have taken him beyond the TV show he starred in. As a human rights activist, Takei has won several accolades for his involvement in organizations like the Japanese American Citizens League and the Human Rights Campaign. “Our students and scholars are unique—in addition to being committed to academics, our students want to help people, they want to give back and fight for social justice, making Takei a great entertainer for our campus community,” Roxworthy added. The commitment of UC San Diego students to public service has helped earn the campus accolades from Washington Monthly, among others. For over a decade, UC San Diego has been lauded as our nation’s top school for positive impact. In addition, the university was recently designated as a Changemaker campus, a prestigious honor that recognizes the social innovation and efforts taking place on campus every day. The UC San Diego college system is a unique university structure that personalizes the delivery of services to undergraduate students. The colleges are residential neighborhoods on campus with their own residence facilities, staff, traditions and general education requirements. Two of the colleges, John Muir College and Eleanor Roosevelt College (ERC), are celebrating anniversaries this year. For more information about the celebrations occurring, please click here and here for Muir and ERC’s events, respectively.